Photo courtesy of Row House. We understand. Getting in shape is hard, especially when the sub-zero temperatures make you want to curl up on your couch and hibernate like a honey-gorged bear. But if you can find the motivation to walk out your front door, Pittsburgh has some truly cool gyms that are much more than a dusty collection of treadmills and free weights. It’s a new year, so it might just be time to find a new fitness routine to create a new you. Here are five of our favorites with more to come. 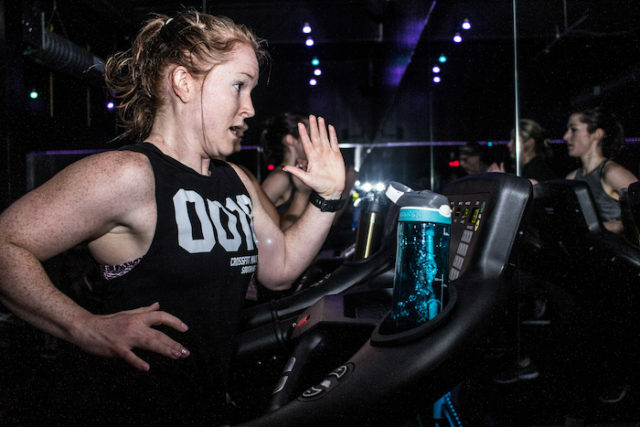 Row House, a boutique fitness rowing brand, opened its first independent franchise in Pittsburgh last month. It’s a great spot for a city known for its three rivers. The low-impact, high-energy sessions put your entire body to the test, utilizing 85 percent of your muscles, activating your core and maximizing your calorie burn on Concept2 Indoor Rowers. There’s a reason GQ calls the rower the most underrated equipment in the gym. BodyLab, a full body workout at Mecka Fitness in Mt. Lebanon. Photo by Sarah Neff. People come from all over Pittsburgh for Mecka’s cycling, yoga, rowing and wide range of fitness classes and equipment. It’s super friendly and they keep the workouts fresh so nobody gets bored. It’s a mecca of fitness, with several gyms under one roof, including boxing, boot camp and the popular Body Lab. Yes, it’s a great community and yes, they have inspiring coaches. But the beauty of Mecka is this: one membership, all kinds of things to do. “Daily Drop-In” classes with online sign-up allow you to sample the gym before committing. And they offer nutrition services, because, as they say, you can’t out-exercise a bad diet. Bonus: We love that they’ve done cycling fundraisers for Tree of Life. Photo courtesy of ASCEND Pittsburgh. 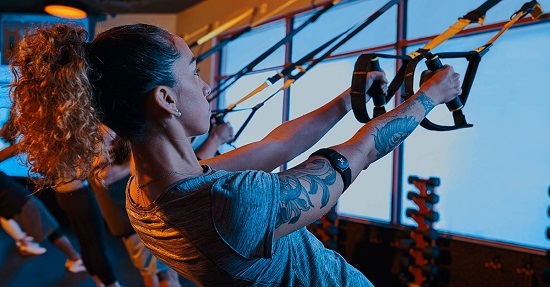 If you feel like you’re stuck between a rock and a hard place when it comes to getting healthy, ASCEND Pittsburgh will change your outlook on the situation. If you’re new to climbing, they’re great at helping first-timers feel at ease and you can rent climbing shoes. There are plenty of surfaces to explore and flashed flooring to make for cushy landings. 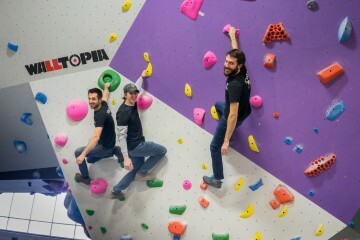 The two-level indoor rock climbing gym has more than 10,000 square feet of scalable surfaces, from beginner to advanced, along with yoga and fitness classes — and childcare. (If the kids are driving you up a wall anyway, you should make it count.) Parking is free and there are special classes like climbing clinics for women. Photo courtesy of Level Red Boxing. Boxing is an aerobic exercise that is popular for many reasons, including increasing strength and endurance as you use muscles you didn’t know you had. 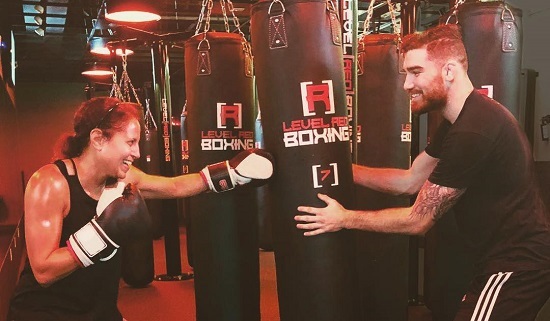 At Level Red Boxing, you’ll get your own pair of gloves with membership and, with the help of trainers, make your workout go from Lightweight (30 minutes) to Prizefighter (60 minutes) to King of the Ring (90 minutes) as you aim to hit the level red. The workouts vary and you can not only burn up lots of calories, but also get rid of stress in the process. It’s about you and the bag, as they say, not other people as you jab, cross, hook and uppercut your way to your fitness goals. Photo courtesy of Orangetheory Fitness. Orangetheory Fitness is a heart rate-based interval training program, scientifically designed to change body composition. During the workout, you’ll spend at least 12 minutes or more in the “Orange Zone” — a blood-pumping, metabolism-boosting sweet spot that makes you burn calories long after you’ve hit the locker room. You’ll find treadmills, rowers, bikes, striders and more, including suspension trainers, at this gym. Heart rate and performance levels will show you how you’re doing. First class is free. We’re also awaiting the opening of Ramp ‘N Rize in Sewickley, and we’d love to hear from you: What’s your favorite gym and why do you love it? Let us know in the comments below or email us. 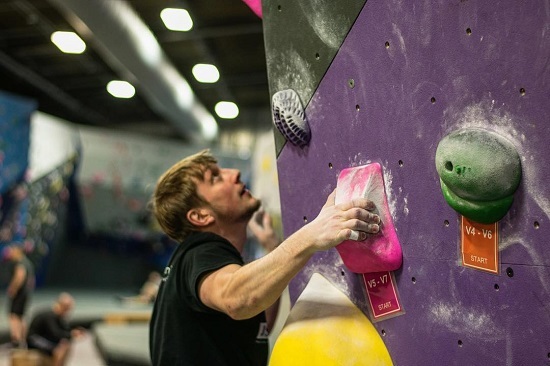 For more Pittsburgh gym suggestions, see 5 cool and unusual gyms in Pittsburgh.